Blogspot and Blogger are same thing. Blogger is a well known blogging platform and product of Google. It not only allow you to create blog but also allow you to design it in your own way. You can easily add images and videos in your posts. You can easily put facebook share in Blogspot. 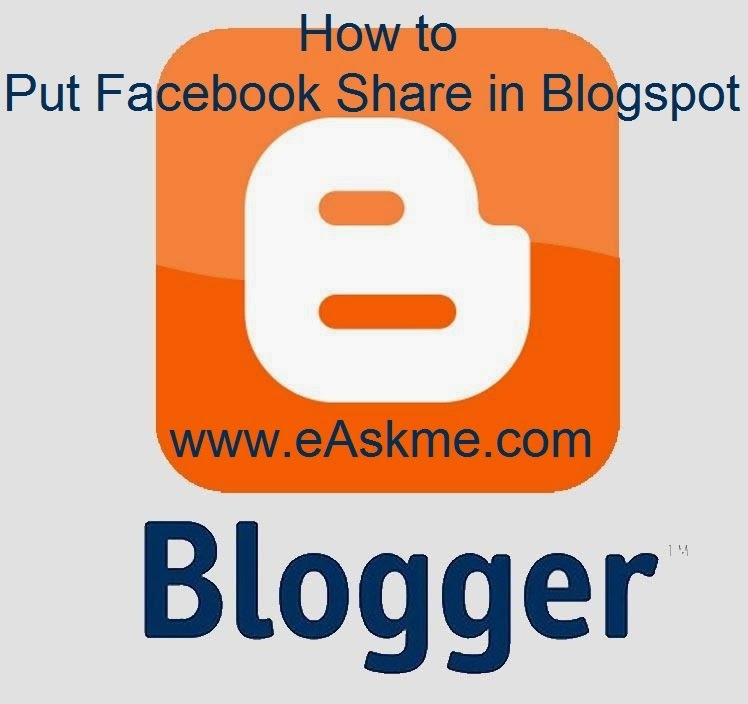 How to Put Facebook Share in Blogspot ? Click on "+" button to add it and click on "Save".